Overview: Welcome back to the continuing adventures of Green Lantern of Sector 2814. In his down time, Green Lantern unmasks to become Hal Jordan, a test pilot for Ferris Aircraft and in love with his boss, Carol Ferris. Now that the character has been firmly established in the DC Universe, we start to explore more into the life of Hal Jordan. We see more of Hal’s brothers, Jack and Jim. We get another team-up between Green Lantern and his Justice League colleague Flash and see the developing friendship between Hal and Barry. A new Green Lantern is introduced with Katma Tui, who became the replacement Green Lantern from the planet Korugar in Sector 1417. New villains are introduced in this volume. Some like the Shark and the Tattooed Man seem to be anchored in the Silver Age; others like Black Hand and Doctor Polaris have remained fresh and relevant across multiple decades. But no volume would be complete without Green Lantern’s primary foe, Sinestro, wielder of the yellow power ring. Why should these stories be Showcased? : This title is getting better, but these are still not the best stories told of the character. The new villains introduced here (Black Hand, Doctor Polaris, Tattooed Man) helped expand the Green Lantern character beyond just fighting someone else with a power ring. The highlight of these issues are the covers. During this era, the covers were drawn first, and then a story was created based on the cover image. Many of these covers have become iconic images of Green Lantern. Overall, I think this is a nice volume to own, but it is not necessarily a must-own volume. If you like this volume, try: Flash and Green Lantern: The Brave and the Bold, which collects the six issue mini-series from 1997 by Mark Waid, Tom Peyer, and Barry Kitson. 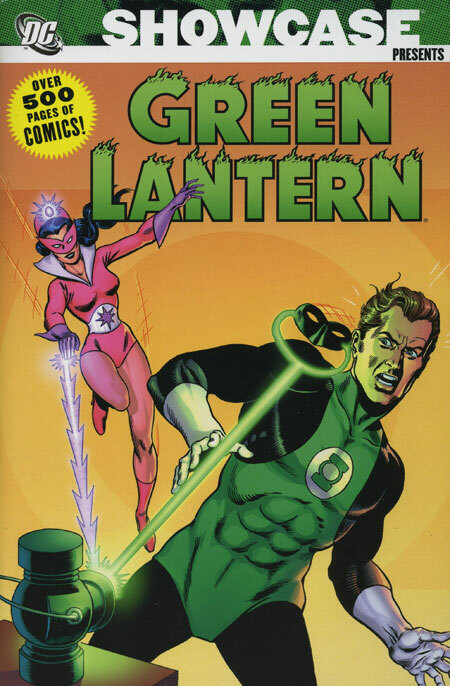 These stories re-examine the early team-ups between Green Lantern and the Flash, as well as shows the growing friendship between Hal and Barry. Much like the Silver Age comics, these are based on, the stories are fun adventures across time and space. Familiar faces from both characters’ books make appearances (Kid Flash, Jay Garrick and Alan Scott, Iris and Carol, Green Arrow, and others). This has been reprinted once as a trade paperback, but I believe the individual issues can still be found in back-issue bins. Pingback: Throwback Thursday – Showcase Presents Green Lantern Vol. 2 – WORST. COMIC. PODCAST. EVER!